Everybody knows the meaning of Augmented Reality more or less . But, how the dictionaries and technology companies define and explain it? 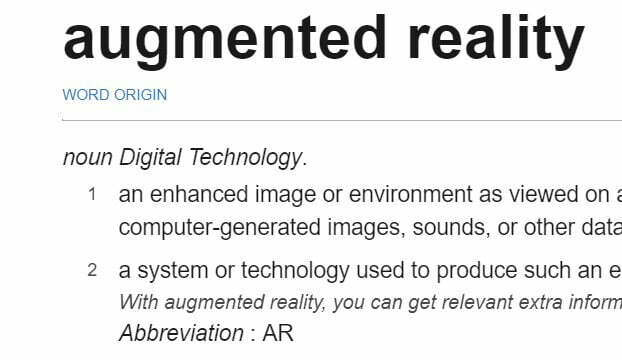 For instance, here are few words on the augmented reality definitions.